The Chippewa Men's 25420 USA-Made Steel Toe EH Waterproof Boots are constructed to protect your feet from almost anything that nature or man could throw your way. The steel toes exceed most ASTM standards for impact and compression. If you've got a co-worker alway ... (see full details) (see specifications) #CHP25420. The Chippewa Men's 25420 USA-Made Steel Toe EH Waterproof Boots are constructed to protect your feet from almost anything that nature or man could throw your way. The steel toes exceed most ASTM standards for impact and compression. If you've got a co-worker always "stepping on your toes," you'll be safe if they're under 1,751 lbs. The 9-inch super logger boots are briar oiled and waterproofed with a Chip-A-Tex membrane. You could captain a thousand ships through tremulous seas and your feet would remain warm and dry. Ruby Dri-Lex 2000 lining gives your feet the warm cushioning they'll appreciate, all work day long. You're protected against electrical hazards and slippage with the Vibram Tacomo yellow plug soles. The distinctive Vibram octagon is known worldwide for excellence. Don't accept anything less. In addition this insulated footwear features a non-tarnishable, antique brass hardware on their exteriors, along with heavy duty waxed Sta-tied laces. The full-grain leather uppers of the Chippewa shoes, as always, provides freedom of movement, style, and the durability that men's boots demand.The dependable Goodyear Welt sole construction will last longer than any other footwear you've owned. They're built to take a beating and have durable soles that are easily repaired for extended life. The triple-ribbed steel shanks support the arches of your feet, the footbeds are removable to keep the steel toe boots fresh, and the 400 grams of Thinsulate Ultra insulation technology system will keep those tootsies warm and toasty. It's thin, warm and light - unlike other weighty insulation that can wear you out. In addition this premium footwear also has been equipped with 4 iron rubber/6 iron robus combination midsoles for extra stability and support for your feet. Logger, Pirate, Mountain Climber, wherever your dreams, or your job take you, these Chippewa Men's 25420 Waterproof EH Steel Toe Insulated USA-Made Boots will out perform like no other. Demand the very best. You and your feet are worth it. I am on my fourh pair in 13 years! As a Pipefitter working in the harshes construction conditions in the North East, there isn't any other boot that can compare in duribility and comfort. Theses loggers are top of the line. Very comfortable and truly waterproof. Kept me warm all winter out in the northern states while checking for pipe line leaks. 13 out of 14 people found this product review helpful. Another winner from Chippewa. I'm a lineman in the Northeast and these boots kept my feet warm and dry all winter. Extremely comfortable and waterproof through nearly all conditions imaginable. Great for climbing poles/ trees whatever. Well worth the pricetag. Boots A man can't have too many!! . 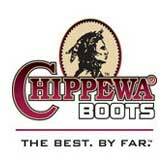 I just love My Chippewas,,,"""
Husband is happy with these boots and that's all that matters at this house. He has even been happier in the evenings since he got these new boots. Chippewa Boots: Men's Steel Toe 25420 USA-Made EH Insulated Waterproof Work Boots is being added to your cart.